If you want a great deal on an iPhone, it's all about timing. If you’re thinking of buying a new iPhone right now, don’t do it! You could save yourself a small fortune by delaying that purchase until September, when Apple is set to unveil the next models of its world-conquering smartphones. Saying that any new device gets cheaper the longer you wait to buy it may sound like stating the obvious, but we’ve been digging into our research. We’ll tell you when and how far iPhone prices will likely fall after the iPhone 7 launch so you can get an idea of whether it’s really worth waiting. The iPhone 7 and the iPhone 7 Plus will almost certainly be unveiled in early September. The rumor mill has been grinding for months already, suggesting the new iPhones might be water-resistant, have Touch ID built into the screen, feature an updated Home button, and come without a headphone jack. There’s little doubt they’ll sport improved cameras and faster performance, but it’s best to take the rest of the rumors with a healthy pinch of salt. You always pay a premium to get the latest tech. But whatever Apple unveils this fall, last year’s iPhone 6s and iPhone 6s Plus are still going to be great smartphones, and we’re expecting to see a healthy discount for both. When Apple unveils a new iPhone, it generally drops the prices of the earlier models by $100. It has a tiered pricing system, so the latest phone is $649 to buy outright or $199 on a two-year contract, and you can buy last year’s iPhone for a one-time payment of $549 or $99 on contract. The iPhone Plus models work exactly the same way, but start at $749 to buy outright and $299 on a two-year contract. If you want to buy a new iPhone 6s or 6s Plus, whether you buy on contract or pay the full price up front, it will be $100 cheaper as soon as the next iPhone is announced. T-Mobile has disrupted the standard two-year contract model by offering any iPhone model without any money down — by simply splitting the cost of the handset across 24 months. So, you’ll pay a higher monthly fee, but it will cover service and the iPhone’s price tag. The other carriers have followed suit, but be careful to calculate the full price you’ll pay on any deal before you pull the trigger. In the past, Apple has also dropped an extra $100 off the next model down, so when the iPhone 6s was announced, the iPhone 5s was made available for no upfront fee and monthly installments totaling $450. However, the release of the iPhone SE has muddied the waters a little here. It effectively replaced the iPhone 5s and is being offered for a one-time payment of $399, or for nothing up front with an installment plan. We don’t expect to see any further price drops on the iPhone SE. The question is whether the iPhone 6 will drop to $449 and be made available for nothing up front with installments, which is a definite possibility. Retailers and carriers sometimes offer aggressive discounts to try and draw in customers, but iPhones tend to hold their value very well, so you have to watch out for such deals. Discounts of more than $10 or so are pretty rare in the first six months; however, we saw $90 knocked off the price of the 16GB iPhone 6s at Boost Mobile and $50 off the 64GB model from eBay sellers in February, five months after release. It was a similar story with the iPhone 6, which dropped about $40 after seven months and then fell by as much as $150 in September 2015, when the iPhone 6s was unveiled. In February of this year — 17 months after release — the iPhone 6 dropped to $380 at Boost Mobile, and by May this year it was $399 at Walmart. The iPhone 6 Plus was Apple’s first larger smartphone, and it took a long while before we saw any discounting on that model. It was eight months before we saw an eBay seller offering a $90 discount, but it dropped by over $200 after around 19 months. And by May this year, it was $499 at Walmart. 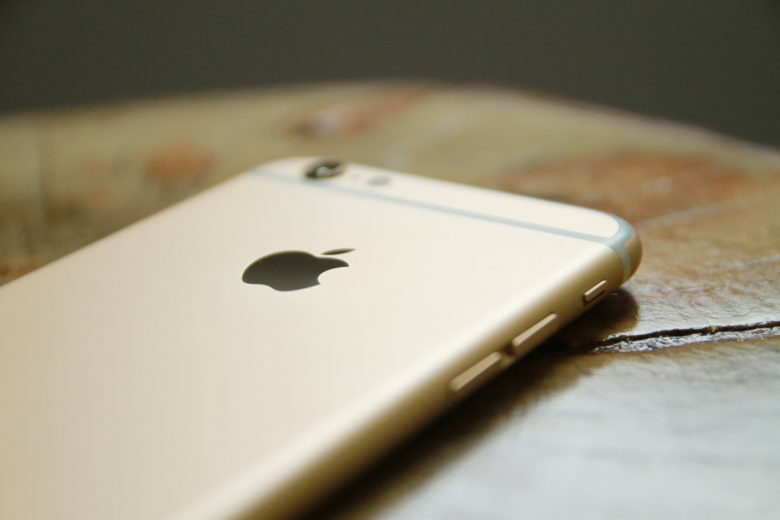 We haven’t seen any discounts of note for the iPhone 6s Plus yet. Some eBay vendors have dropped $50 and $150 off the price of the higher-capacity 64GB and 128GB models respectively, but that’s it so far. (The 128GB 6s Plus still costs a whopping $800 even at $150 off.) These discounts might be slightly bested when the iPhone 7 debuts, but we probably won’t see much deeper discounts than that for quite some time. One eye-catching iPhone 6s deal that was available just three months after release was AT&T‘s “buy one, get one free” offer. It wasn’t advertised for the iPhone 6s, though that model was eligible. You had to add a second line and commit to 30 months, but it was possible to claim bill credits for the full price back after three months. (This deal is no longer available at AT&T.) Sprint is still offering a deal like this on the iPhone 6s or the iPhone 6s Plus, if you’re willing to sign up for a second line with the carrier. If you’re already an iPhone owner, then you’ll find some attractive deals on the new iPhone if you’re willing to trade in your old handset. It’s also worth seeing what you can get in the secondhand market, because iPhones hold their value better than any other smartphone. You will generally make more by selling your iPhone directly than you will for trading it in, and you can put that extra money toward the new one. It’s likely to be at least six months before we see any significant discounting on the new iPhone 7 or 7 Plus. But if you and your partner both want a new iPhone, then it’s worth watching out for “buy one, get one free” offers. Readers, do you opt for the newest iPhone or buy discounted older models? What are the best iPhone deals you’ve found? Let us know in the comments below!